Whether its Promotional, Corporate, TV / Film, Online , 360 Video, Streaming or still images for marketing or visualisation, we have the cameras, drones and experience. 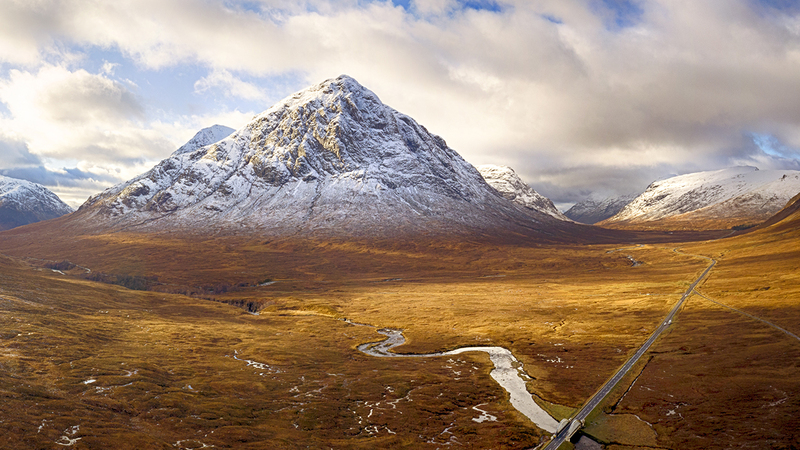 We have drone pilots located throughout Scotland, with offices near Glasgow, Edinburgh and in the Scottish Highlands.. Multiple crew with multiple platforms. Our pilots have thousands of safe hours operating drones. from small drones under 1kg, to mammoth 20kg monsters. One of Scotland's oldest and largest drone companies, we have multiple drone platforms, multiple camera systems and multiple pilots. We have the skills and experience to undertake almost all drone imaging requirements, a dependable service with backup and commitment. We are one of the oldest CAA approved drone companies, operating in Scotland since 2011. Our in house drone pilots have thousands of hours of flight time on a variety of drone platforms, our pilot in charge is also a UK CAA approved instructor and flight assessor. We have worked on numerous TV, film and corporate productions throughout the UK, including Outlander, The Loch and the BBC Highland Series. We have a variety of drones for all requirements, including our customised 360 Degree Video Drone which was utilised on the award winning Laphroaig 360 video campaign. We can live broadcast from our drones direct to online streaming portals or direct to OB infrastructure for live broadcast. We always carry spare drones in the unlikely event of a failure, offering a trust worthy dependable service.